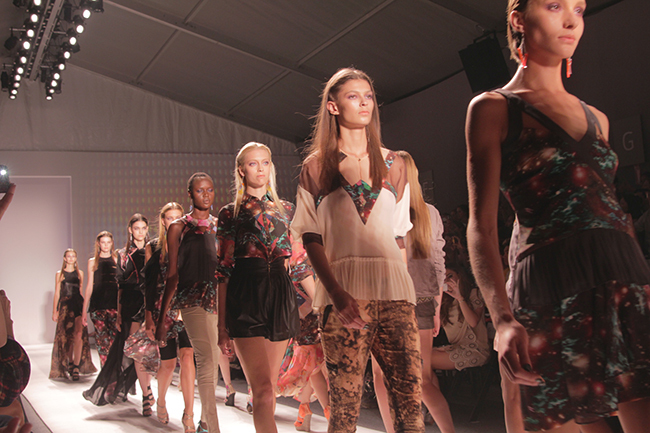 Probably being one of my favorite shows this week, Nicole Miller's collection was nothing short of an eyegasm. 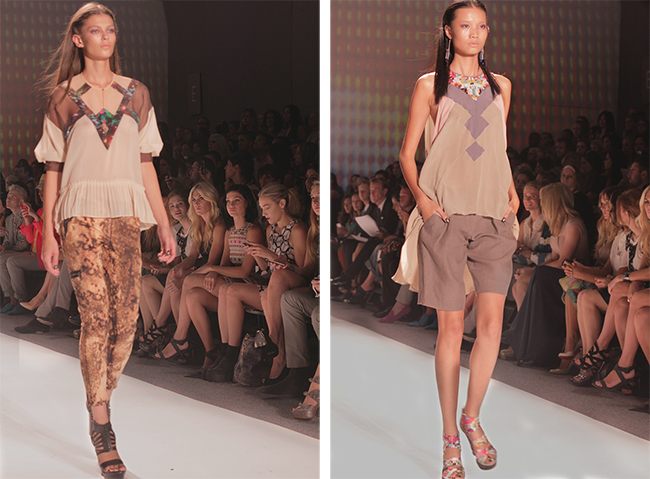 It was an explosion of surrealism, girly and tribal gone edgy down the runway, almost like seeing abstract art on fabric. I may be being biased since I'm such a sucker for flowy fabric but the prints aside, the material was just as beautiful. 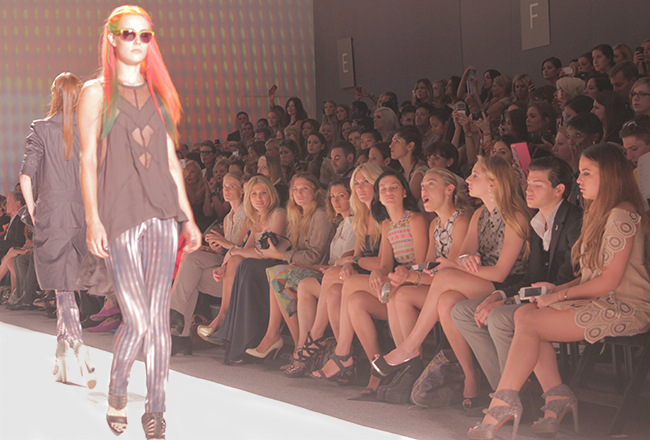 Mostly, I couldn't get over how amazing Chloe Norgaard's rainbow hair was (third photo). Can the hairstylist who did this please turn my hair into My Little Pony tips? Great pictures, but, your outfit is perfect! love them all coz they're clothes that i can see my self actually wearing. haha! and love your outfit too. Obsessed with this outfit - that vintage coat is uh-maze!!! your outfit's so cute! and your comment's so cute! I wish I could see the rainbow you were talking about! 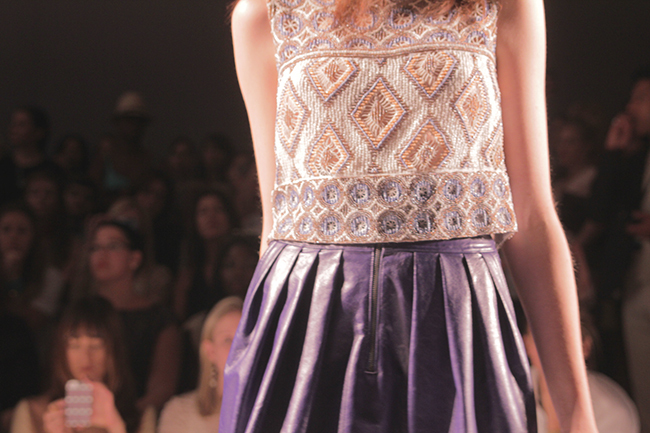 My favorite outfit is the tribal tank with the purple skirt. Tribal- love, Purple- Fav color!! love your outfit! so jealous your at nyfw! Btw nice pictures and I am so jealous you get to be at nyfw! Such a stunning collection, that first outfit is just amazing. Love what you're wearing too, so glad to have stumbled across your blog. Love your outfit! And the Nicole Miller show looks amazing! you look just perfect Dear! you look so great! the hat goes great with the cardigan which looks like vintage thrift treasure! I discovered you on Lookbook today and thought I'd say hi! I LOVE that jacket and hat on you. So cute! great images. What type of camera and lens do you use?